Four new stamps have been added to the Paperfinger Etsy shop! As you see from the photos, I've been finding so many uses from these holiday- and winter-themed designs. They're perfect for making cards, sized at 3" wide and 2" tall. 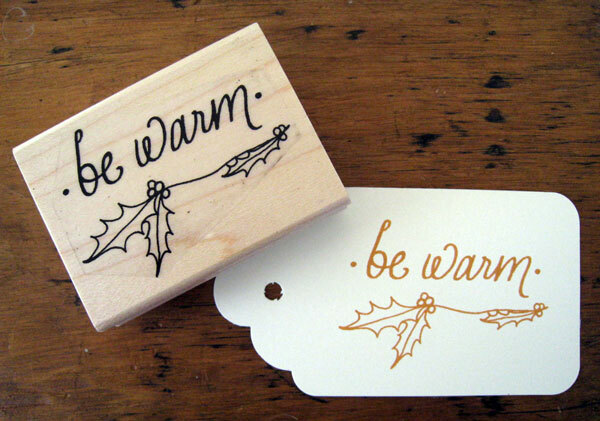 Or use them on gift tags, your own printed wrapping paper, or even as a gift on their own! -- "Midwinter Wishes" is written in Paperfinger's antiquated calligraphy complete with splattered ink; -- "Wishing You Warmth" has a dotted border and a classic look; -- "Be Warm" is written in rounded and gentle script and is complemented by an illustrated holly branch; -- and lastly, a Winter Love design, showing the word "winter" inscribed inside of a heart. Browse the shop to see more photos. 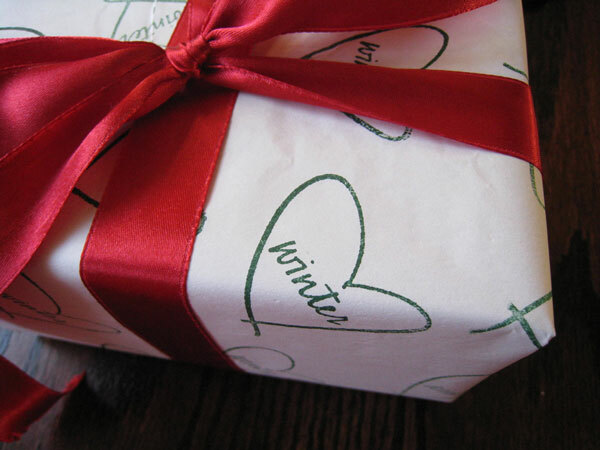 All stamps are $35, except for the winter heart, which is $22.